Class 20: 20019 in blue livery at Toton 19th March 1993. Built in 1958 by EE works number 2366 & VF works number D394 as D8019. 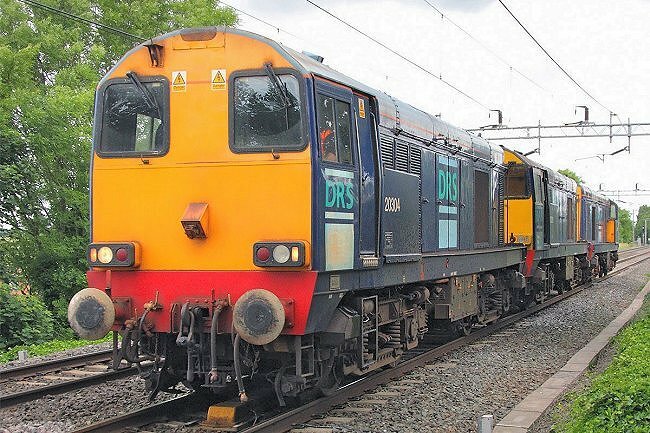 Class 20: 20309 in DRS livery heads two other class 20s at Penkridge 13th May 2009. 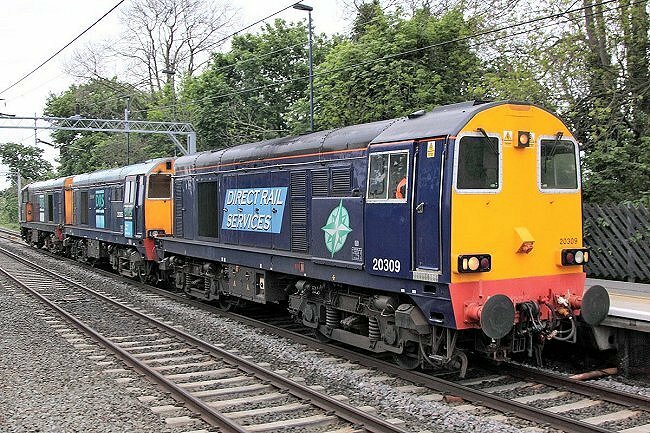 Built in 1961 by EE works number 2981 & RSH works number 8233 as D8075, later becoming 20075. 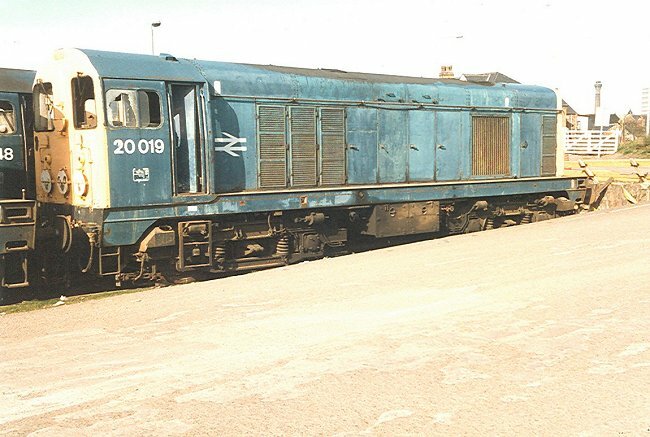 Class 20: 20190 in blue livery in store at a military depot 13th May 1993. 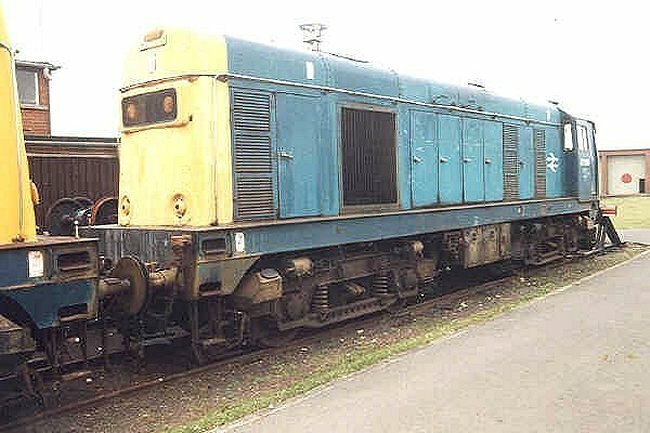 Built in 1967 by EE works number 3671 & VF works number D1066 as D8190. 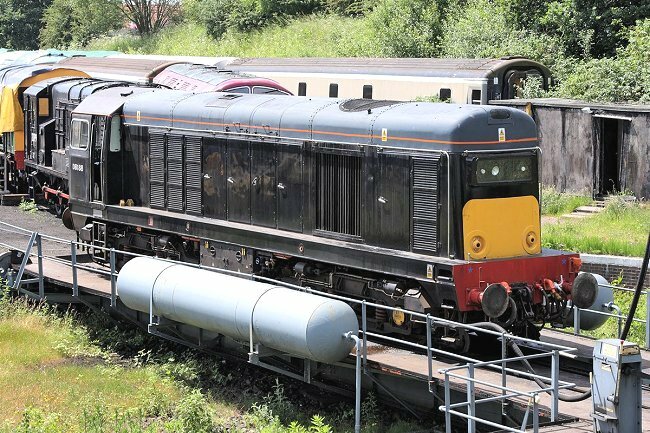 Class 20: D8188 in black livery on the turntable of the Severn Valley Railway at Kidderminster 10th June 2008. Built in 1967 by EE works number 3669 & VF works number D1064 as D8188, later becoming 20188. 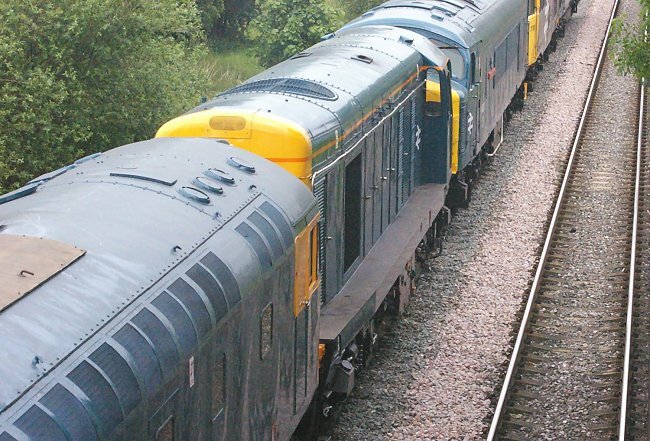 Withdrawn from BR service 1990. Photograph Nick Broome. 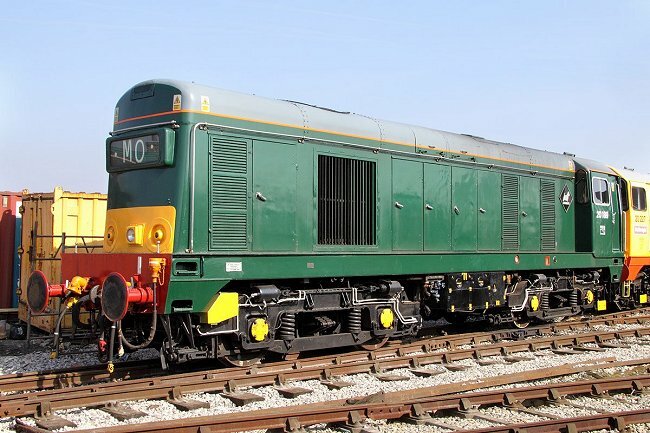 Class 20: 20189 in green livery at Swanwick 21st March 2009. 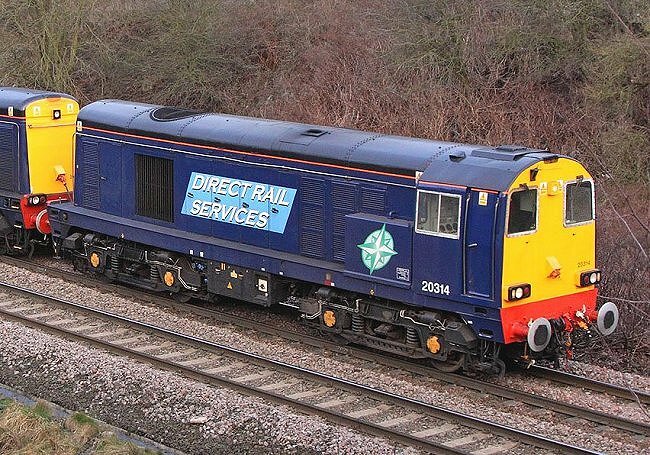 Built in 1967 by EE works number 3670 & VF works number D1065 as D8189. Withdrawn from BR service in 1990. 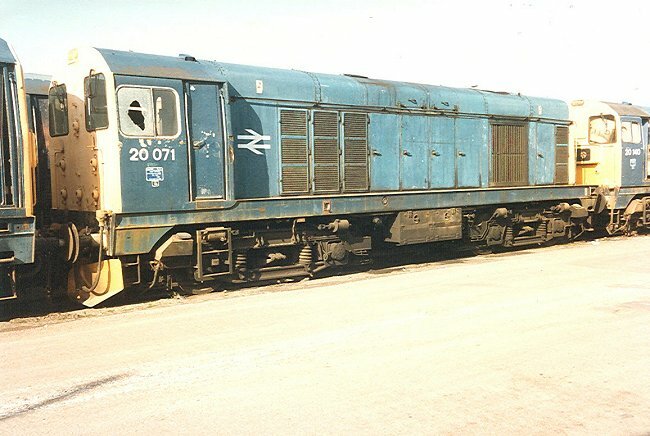 Class 20: 20071 in blue livery in store at Toton a military depot 19th March 1993. Built in 1961 by EE works number 2977 & RSH works number 8229 as D8071. Class 20: 20304 heads a convoy of DRS class 20s at Penkridge 18th June 2009. Built in 1966 by EE works number 3639 & VF works number D1038 as D8168, later becoming 20168. Class 20: 20107 in train 0M55 from Eastleigh to Barrow Hill at Addlestone Moor 28th May 2009. Built in 1961 by EE works number E3013 & RSH works number 8265 as D8107. Class 20: 20314 at Mill Lane, Walsall, 17th March 2009. Built in 1961 by EE works number E3010 & RSH works number 8262 as D8104, later becoming 20104.